There’s a lefty atop the leaderboard with a history of winning at Pebble Beach. It’s not Phil Mickelson, although he’s close. 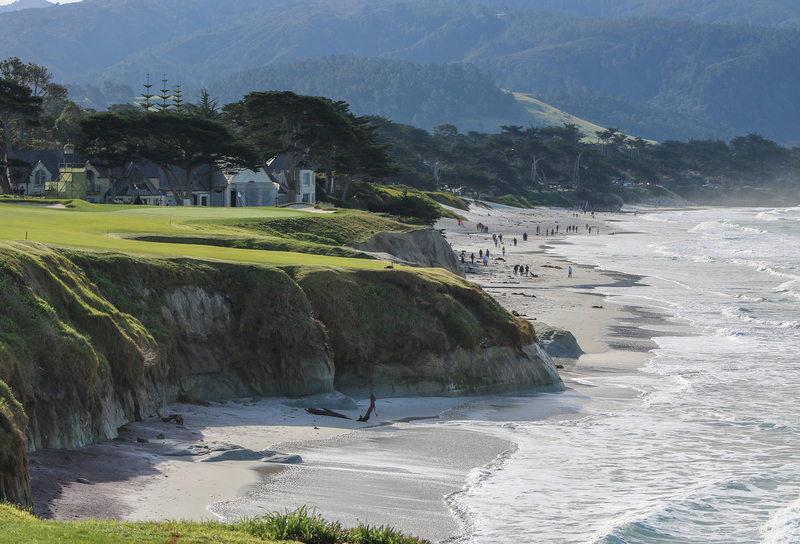 Scott Langley, who won the 2006 First Tee Open as a junior golfer, shot a 7-under 64 at Monterey Peninsula Country Club to tie for the lead with Brian Gay during the first round at the 2019 AT&T Pebble Beach Pro-Am. Now 29, Langley is searching for his first PGA TOUR win. And he’ll have to earn it. The front page of the leaderboard includes Major champions Mickelson (-6), Jason Day (-6), Dustin Johnson (-5) and Jordan Spieth (-5). There are 28 players at 4-under or better, and 86 who broke par. On top of that, Langley must contend with a wet forecast that calls for rain Friday afternoon. Play has been moved up an hour and will begin at 7 a.m. as a result. Most days this recovery isn’t even possible. But Brandt Snedeker took advantage of a low tide to tally an unforgettable birdie from the Pebble Beach that earned the course its name. The two-time AT&T champ (2013 and 2015) finished with a bogey-free 3-under 69. The 48-year-old Phil Mickelson is hitting the ball father than he ever has. Entering this week, he’s fifth on the PGA TOUR at 316.0 yards per drive. And now, he’s hitting it straight. 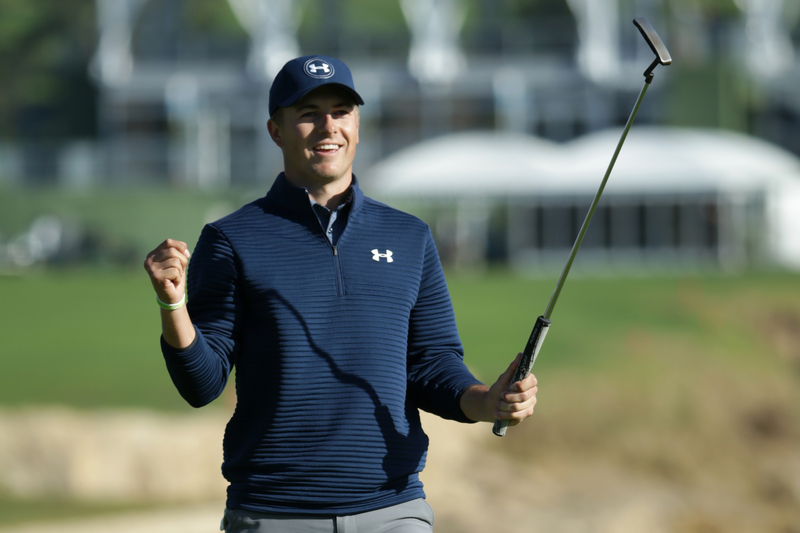 On the eve of the 2019 AT&T Pebble Beach Pro-Am, Jordan Spieth had a sunny outlook on a not-so-sunny forecast, thanks to his experience winning a wet 2017 edition. Which is nice? Those words weren’t coming out of the mouths of many others, but the positive mindset produced an encouraging first round. Spieth ran off five birdies on the back nine at MPCC to shoot a 5-under 66, keeping him near the top of a crowded leaderboard. Playing partner and two-time AT&T winner Dustin Johnson also shot 5-under at MPCC. “I think bad weather makes me become more feel-oriented which is better for my game,” said Spieth, who finished with seven birdies. It’s the Most Interest Swing in the World. But 10 holes into Ho Sung Choi’s first PGA TOUR round, he was 4-over at MPCC. Fisherman Choi righted the ship with three birdies on his back nine, closing with a respectable 1-over 72. Along the way, he won over the galleries, as well as playing partners Jerry Kelly and Aaron Rodgers. 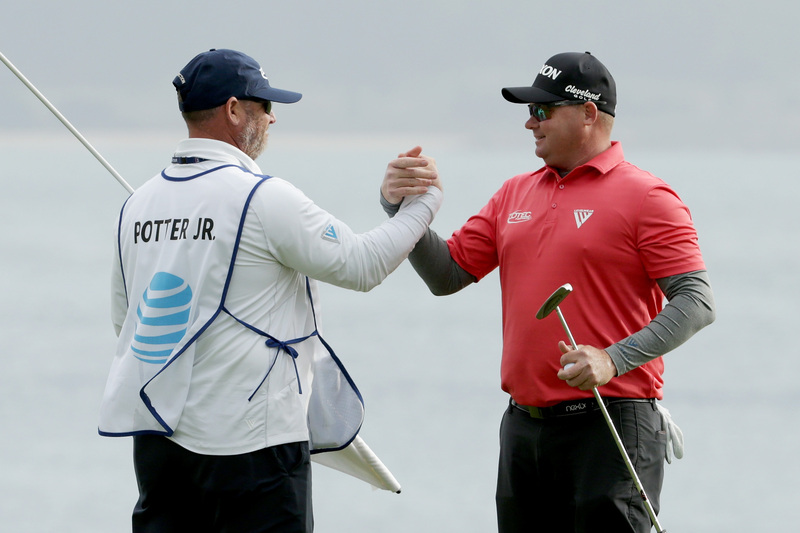 Ted Potter’s title defense got off to a nightmarish start — he tripled his first hole at Spyglass Hill — and it only got worse from there. While the round included three birdies, he also added four double-bogeys en route to a disastrous 10-over 82. Potter is dead last, 17 shots off the lead. WANT TO CATCH THE REST OF THE ACTION?